You'll be cozy under this New England Patriots Tapestry Blanket while you watch the Patriots game. You'll love the look of this New England Patriots Tapestry Blanket, which features a licensed New England Patriots vintage logo. 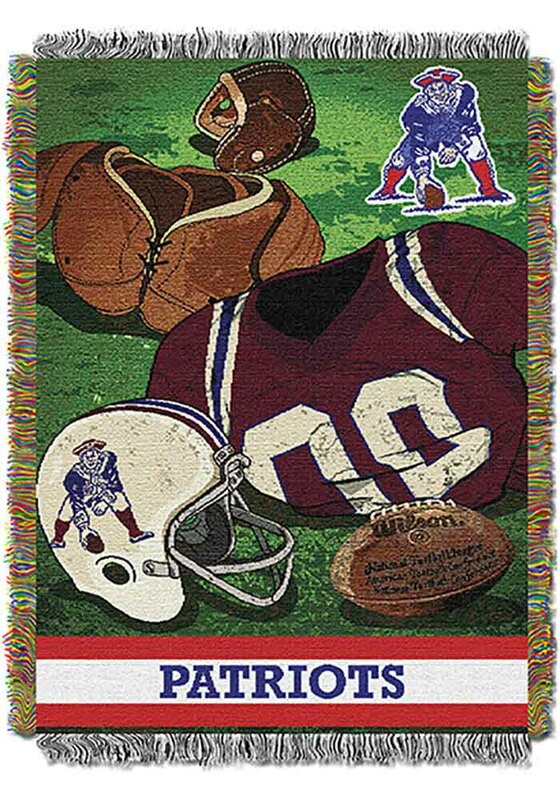 This fringed tapestry is highly detailed and reminescent of your favorite team's long history. Use this 48" x 60" throw to keep warm under while watching your favorite team play, or even use it as room décor.